Founding member of Genesis, Anthony Phillips, has his debut instrumental album most ambitious record to date, remastered & lovingly expanded by Esoteric Recordings. Slow Dance was originally released back in 1990 & featured just 2 tracks (Slow Dance Part 1 & Part 2) & showcased Phillips at his most creative. Seemingly taking its lead from other instrumental progressive works, such as Mike Oldfields Tubular Bells, Slow Dance is an incredible album that rival just about everything that has come before, or since in this particular genre. With the first disc of this set being the complete, 50 minute, new mix, sounds so much better. It’s after you compare the 1990 version with this new disc that you realize how much music & subtle nuances were missing. The harp, piccolo, clarinet & trumpet, sound absolutely stunning & provide stunning counterparts to Anthony’s multi instrumentation’s. The second disc of this set, provides vignettes or snippets of both parts of Slow Dance along with a couple of alternate mixes. All of which are previously unreleased. The 3rd disc is the masterstroke.This is a DVD & has a 5.1 surround mix as well as the standard studio mix. The 5.1 is amazing & puts the listener firmly in the centre of the music & offers a whole new perspective on the experience. Slow Dance is an orchestral rock suite that needs to be heard to be believed. This is considered, by aficionados, to be Anthony Phillips at his most creative & this remix just proves it beyond any doubt. 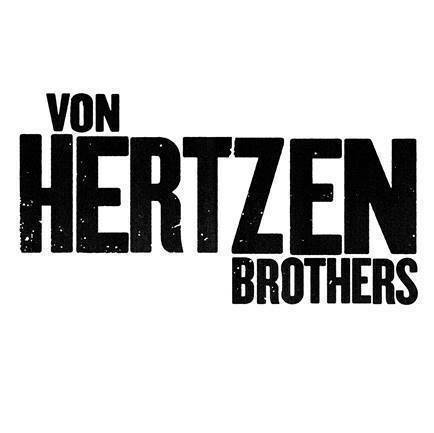 Von Hertzen Brothers announce UK tour & new album titled “VII – War is Over” due for release this coming fall.